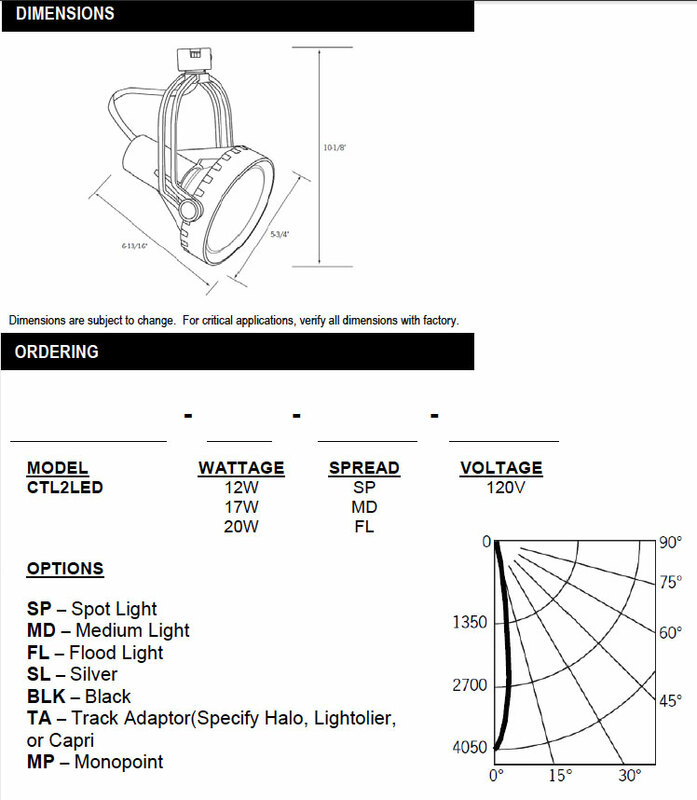 The CTL2LED LED Track Head is available in 12, 17 and 20W. PAR38 LED technology offers an unprecedented lamp life. 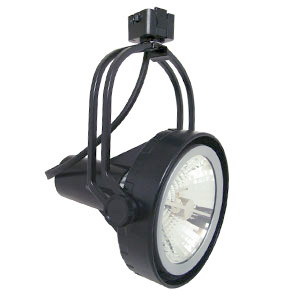 This fixture is virtually maintenance-free. Engineered for illumination of retail displays or any area where high-efficiency and color rendering are desired. Also available with stand-alone monopoint mounting canopy. Supplied with Juno track fitting. A 12W LED is comparable to 50W incandescent. Heavy aluminum alloy housing provides durability and maximum heat-sinking for longer life of electronic components. Available in 2700K (12W) or 3000K (17/20W).